You can find an example of this in the vswhere repo on GitHub. When you click the Install link, you’re prompted to install any missing components. You can click the View full installation details link if you’d like to select additional components. Confirm the location where you want to save the .vsconfig file (defaults to your solution root directory). To help keep the installation footprint minimal, only export those components you know you need to build, test, and possibly publish your solution. 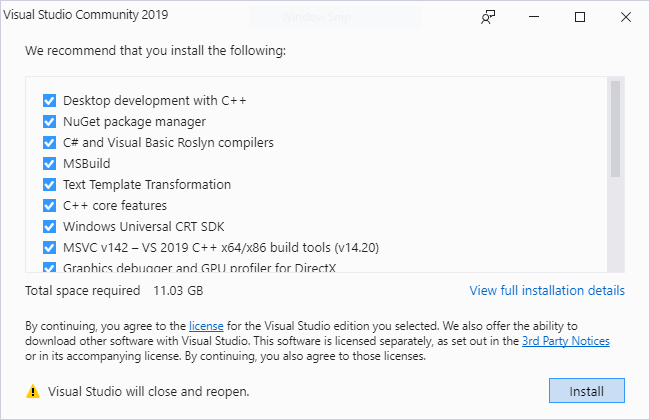 One way you can do this is to install a second instance of Visual Studio or install into a virtual machine, add those workloads and optional components you know are necessary, and build and test your solution. Add components as needed until the solution builds successfully, then export your configuration. We love to hear your feedback! You can report a problem or make suggestions for this or any other feature in Visual Studio on our Developer Community site. Currently, we only look in $(SolutionDir). Please feel to open a feature suggestion at https://developercommunity.visualstudio.com and we will consider. I think it's a great idea for projects with large solution trees. 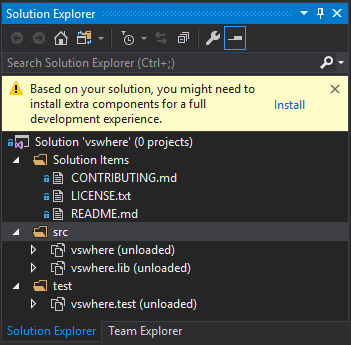 Speaking of multiple solutions, have you checked on .slnf files in #VS2019? You can maintain a single .sln (no duplication, a single build source) but have multiple .slnf files that filter the projects in Solution Explorer. Ok, I posted the feature suggestion. Thanks for the .slnf suggestion - it looks like a good fit for some of our solutions (we have an application with multiple independent modules for instance), but won't work for the whole repository, as it contains unrelated projects I'd rather not bundle into a single (huge) solution. Another awesome step forward to F5 experience, thank you! 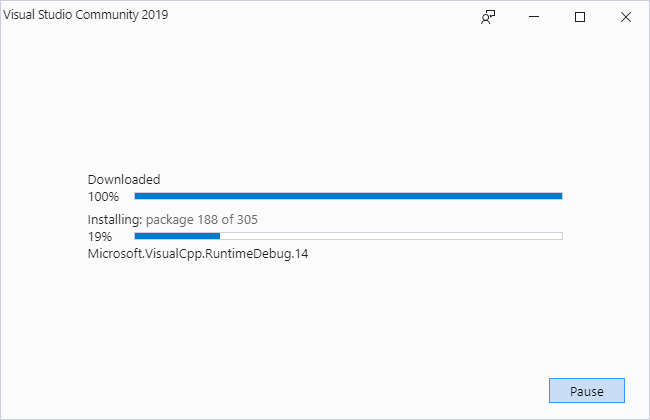 Heath, Do .vsconfig files exported from VS2017 work reliably in VS2019, or is it best to keep them specific to a VS version? Does it work in the other direction as well, assuming any workloads selected existed downlevel?